View Making Syfy.com Out of this World (Panel) on Notist. 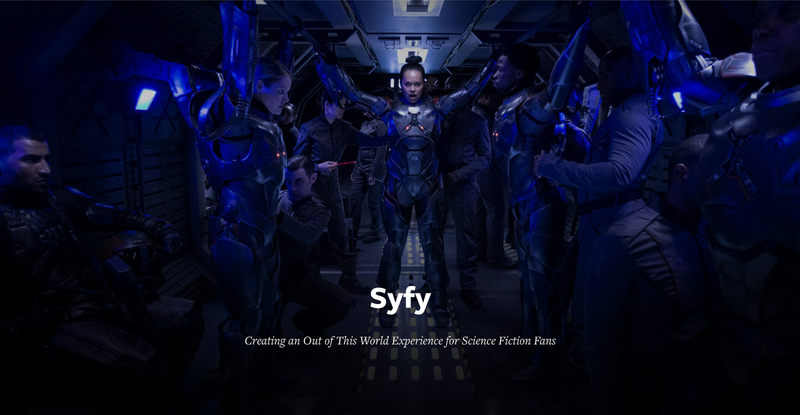 While the Syfy network was busy creating compelling new worlds with scripted shows like 12 Monkeys, Ascension, Helix, and Haven, their website was worlds behind. It was not responsive, not beautiful, and, in the words of Matthew Chiavelli, VP of digital media and strategy, "put together with duct tape and bailing wire." To watch full episodes, viewers were required to navigate to a separate website at syfy.com/now. Syfy needed a scaleable, cinematic full-screen experience that would look great on any device and be commensurate to their original content. In this session the combined Lullabot and Syfy teams will discuss what was involved in creating what's been called "the best television website on the planet," as well as what lies ahead for television sites in general.